Canongate have acquired a splendid new children's book by Matt Haig. A BOY CALLED CHRISTMAS tells the story of the early years of the world's most beloved hero. It is a gripping adventure set in eighteenth century Finland full of elves, reindeer, kidnapping and an eleven-year-old boy called Nikolas who isn't afraid to believe in magic. 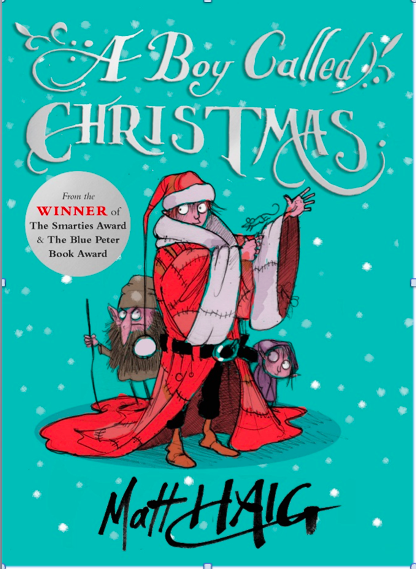 A BOY CALLED CHRISTMAS will be published in the UK in hardback on Nov 5th 2015. Canongate have paired Haig with British illustrator Chris Mould who has created over 60 illustrations which help tell this unforgettable story. About Matt Haig: Suffered a breakdown in his early twenties. After battling depression for a long while he turned to writing. He now believes that reading and writing books saved his life, and believes that 'in a world trying to increasingly isolate us from our environment and our true selves, books are our route to freedom, and to each other'. . His novels include the bestsellers The Last Family in England, The Radleys and The Humans. His books have been translated into 30 languages. All his novels for adults have been optioned for film. He has also written novels for children, including Shadow Forest, To Be A Cat and the new YA novel Echo Boy. His next book is about his experience of depression, called Reasons To Stay Alive. About Chris Mould: Was born in Bradford and has lived and worked there all his life. He began drawing at a very early age and hasn't stopped since. He trained in Art college for six years altogether starting in Dewsbury College and moving to Leeds, during which time he gained a joint honours degree in Graphic Design and Illustration.